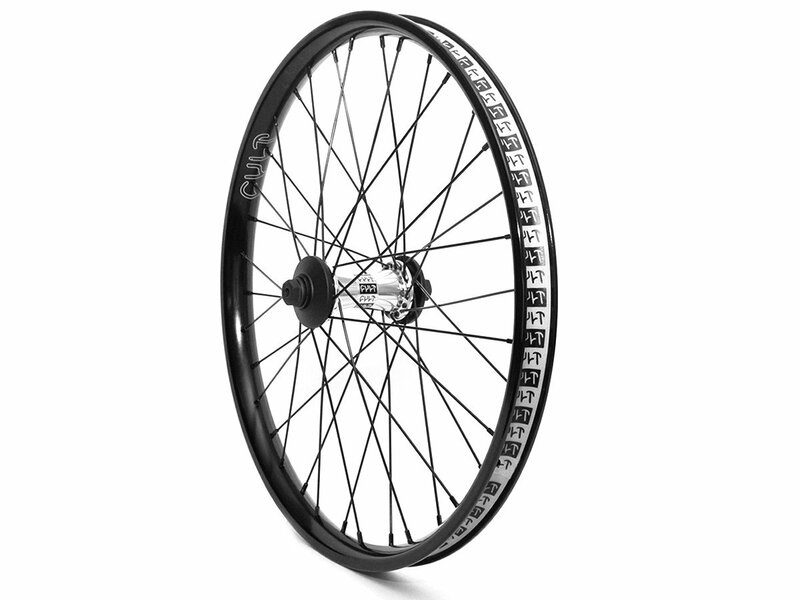 The Cult "Crew Aero" Front Wheel is a 20" frontwheel and a combination of the thin Cult "Crew Aero" rim and the Cult "Crew" female front hub. The Cult "Crew Aero" Front Wheel included two hubguards and a rim tape. Rim: Cult "Crew Aero" doublewall 36h.